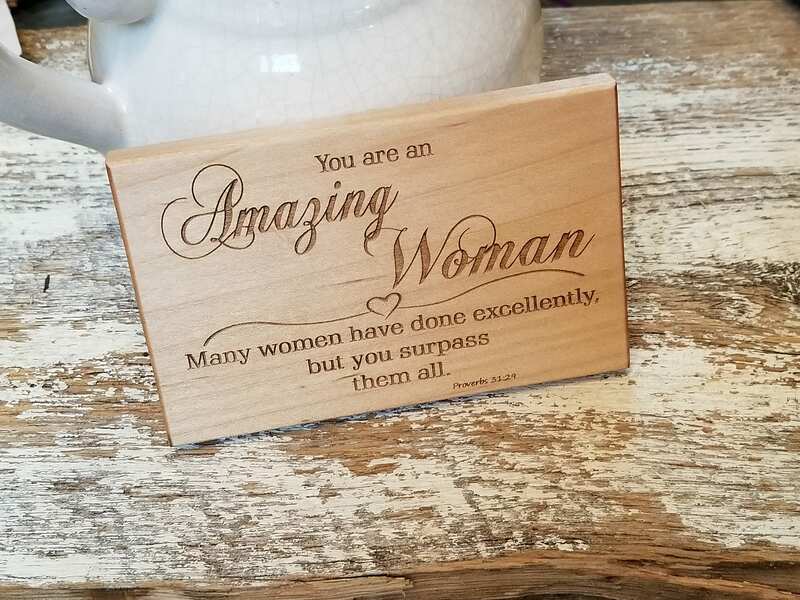 You are an amazing woman plaque will make an amazing gift for your amazing wife this holiday season, her birthday, Valentines Day, Mother's Day, Anniversary or just to say how much you appreciate her. This beautifully hand crafted and laser engraved sign will make a special gift. We can add a personalized message from you to her on the back if you would like. Each plaque is crafted and engraved by us from solid wood.